OnePlus is a Shenzhen-based Chinese start-up and manufacturer of smartphones founded in December 2013. It is headquartered in Guandong. 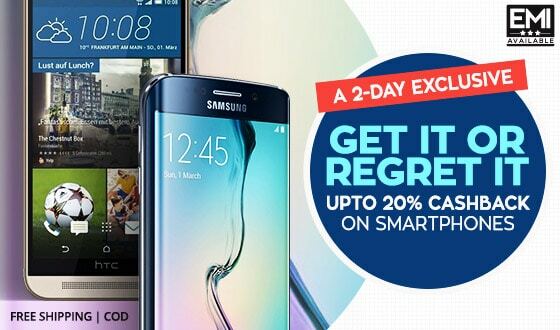 The company’s claim to fame is its proposition to offer flagship-level specs in its smartphones, at super affordable prices. 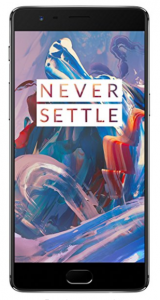 OnePlus initially sold its smartphones only through an invite system where customers would be sent an invite to purchase smartphones and they had to make the purchase within a fixed time frame. Of late the company has held open sales of its smartphones. OnePlus’s latest mobile launch is the 5. The smartphone was launched in June 2017. The phone comes with a 5.50-inch touchscreen display with a resolution of 1080 pixels by 1920 pixels. The OnePlus 5 runs Android 7.1.1 and is powered by a 3300mAh non-removable battery. It measures 154.20 x 74.10 x 7.25 (height x width x thickness) and weighs 153.00 grams. The battery is not removable and it is available in two colours – midnight black and slate grey. The OnePlus 5 is a dual SIM (GSM and GSM) smartphone that accepts Nano-SIM and Nano-SIM. Connectivity options include Wi-Fi, GPS, Bluetooth, NFC, USB OTG, 3G and 4G (with support for Band 40 used by some LTE networks in India). Sensors on the phone include compass or magnetometer, proximity sensor, accelerometer, ambient light sensor and gyroscope. 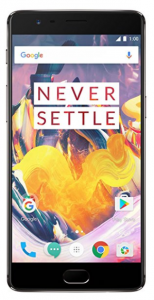 OnePlus 3T smartphone was launched in November 2016. The phone comes with a 5.50-inch touchscreen display with a resolution of 1080 pixels by 1920 pixels at a PPI of 401 pixels per inch. OnePlus 3T price in India starts from Rs. 27,999. The OnePlus 3T runs Android 6.0.1 and is powered by a 3400mAh non-removable battery. It measures 152.70 x 74.70 x 7.35 (height x width x thickness) and weigh 158.00 grams. The OnePlus 3T is a dual SIM (GSM and GSM) smartphone that accepts Nano-SIM and Nano-SIM. Connectivity options include Wi-Fi, GPS, Bluetooth, NFC, USB OTG, 3G and 4G (with support for Band 40 used by some LTE networks in India). Sensors on the phone include compass or magnetometer, proximity sensor, accelerometer, ambient light sensor and gyroscope. 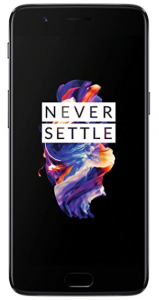 OnePlus 3 smartphones were launched in June 2016. The phone comes with a 5.50-inch touchscreen display with a resolution of 1080 pixels by 1920 pixels at a PPI of 401 pixels per inch. OnePlus 3 price in India starts from Rs. 25,500. The OnePlus 3 is powered by 1.6GHz quad-core Qualcomm Snapdragon 820 processor and it comes with 6GB of RAM. The phone packs 64GB of internal storage cannot be expanded. As far as the cameras are concerned, the OnePlus 3 packs a 16-megapixel primary camera on the rear and 8-megapixel front shooter for selfies. The OnePlus 3 runs Android 6.0.1 and is powered by a 3000mAh non-removable battery. It measures 152.70 x 74.70 x 7.35 (height x width x thickness) and weigh 158.00 grams. The OnePlus 3 is a dual SIM (GSM and GSM) smartphone that accepts Nano-SIM and Nano-SIM. Connectivity options include Wi-Fi, GPS, Bluetooth, NFC, USB OTG, 3G and 4G (with support for Band 40 used by some LTE networks in India). Sensors on the phone include compass or magnetometer, proximity sensor, accelerometer, ambient light sensor and gyroscope. ← Actresses who went “Fat to Fit”. Want that toned body? Here is what to follow from the stars.